Due to the dropping temperatures over the next couple of days, as well as the cancellation of classes by the University of Toledo, the parish office will be closed Wednesday, January 30th (and Thursday, January 31st, as part of our normal office hours). Our office will reopen Friday, February 1st. 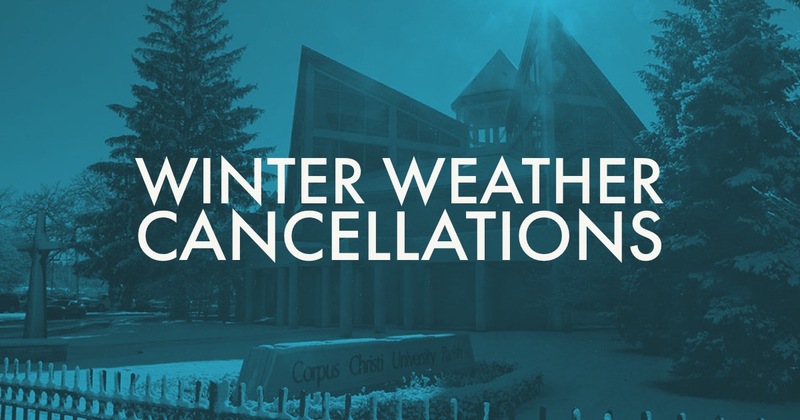 The Bible in a Year class is also cancelled for Wednesday, January 30th. Next week, Dr. Feldmeier will cover 1 & 2 Maccabees and the conclusion of the Old Testament. We will still have Daily Mass at 12:05 p.m. on Wednesday as normal. However, we care for the safety of our parishioners and students, so stay home if you do not feel comfortable going out into the frigid temperatures. Thank you for being flexible and understanding!